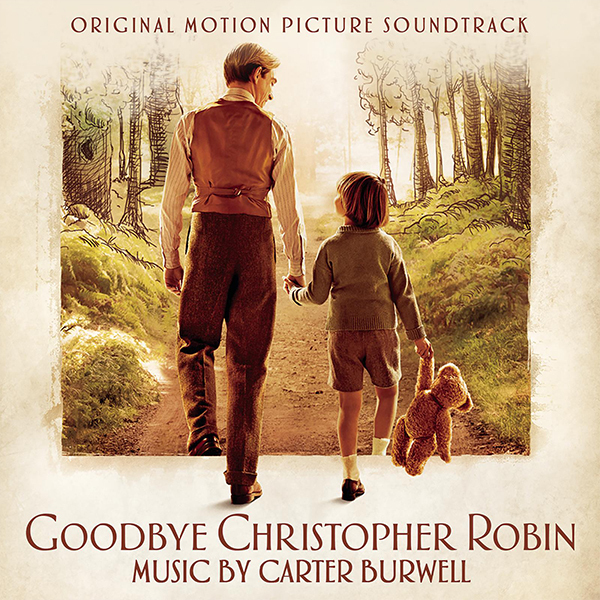 Sony Classical announces the release of GOODBYE CHRISTOPHER ROBIN (Original Motion Picture Soundtrack) with an original score by Academy Award®-nominated composer Carter Burwell. The soundtrack will be released digitally on September 29 and on CD on October 20, 2017. The film will be released in the US on October 13, 2017. Carter Burwell has composed the music for more than 80 feature films, including Blood Simple, Raising Arizona, Miller's Crossing, Barton Fink, The Hudsucker Proxy, Rob Roy, Fargo, The Spanish Prisoner, Gods And Monsters, Velvet Goldmine, Three Kings, Being John Malkovich, O Brother, Where Art Thou? (BAFTA Nominee for Film Music), Before Night Falls, A Knight’s Tale, The Rookie, Adaptation, Intolerable Cruelty, No Country For Old Men, In Bruges, Burn After Reading, Twilight, Where The Wild Things Are (Golden Globe® Nominee for Best Original Score), A Serious Man, The Blind Side, The Kids Are All Right, True Grit, Twilight: Breaking Dawn – Part 1 & 2, And The Fifth Estate, Mr. Holmes, Legend, The Finest Hours, Hail,Caesar!, The Family Fang And The Founder.